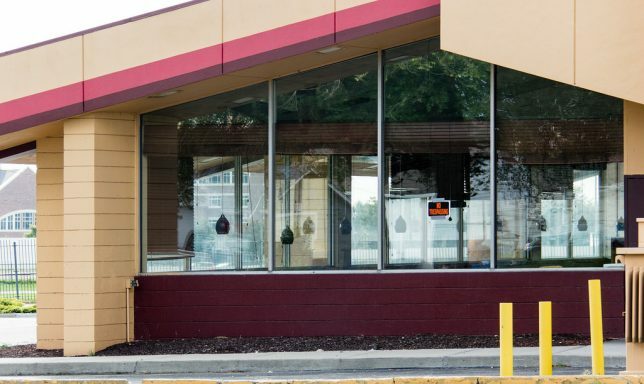 Denny’s has been a powerhouse of fast-casual family dining for over 60 years with over 1,600 restaurants but even Denny’s has to close some time. 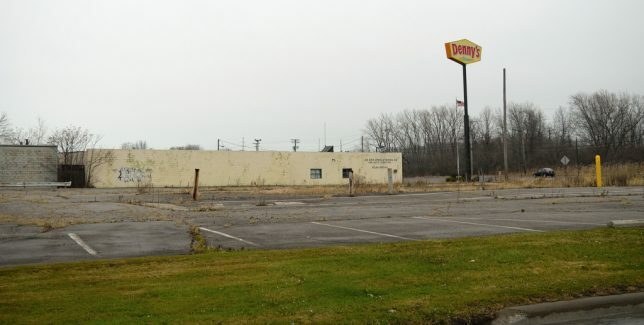 More than just a slogan, Denny’s famous “we never close” policy was put to the test in 1988 when all but six stores closed for Christmas. 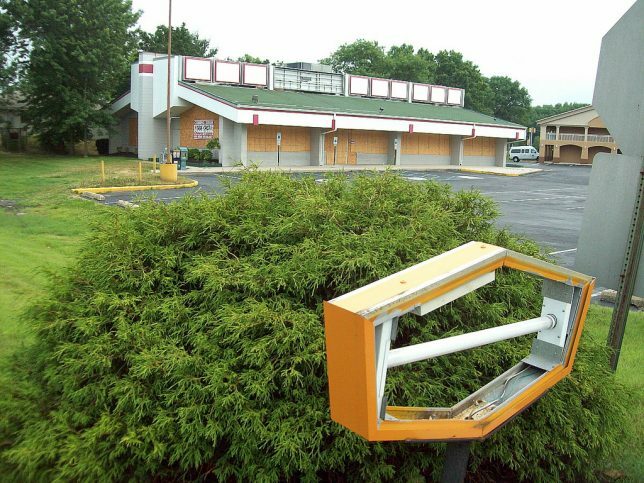 Several restaurants were unprepared by the corporate-wide closing: some had lost their keys while others – rumor has it – were built without lockable doors. 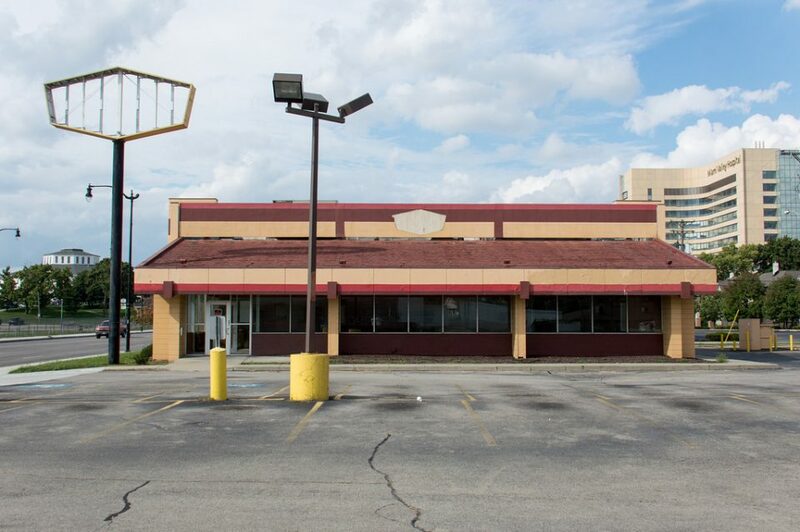 Contrast that open-door policy with the fate of closed and/or abandoned Denny’s restaurants and diners like this one in Dayton, Ohio, snapped by Flickr member vistavision in the fall of 2010. Stores like this one will never open again, at least not under the classic Denny’s hexagonal sign. 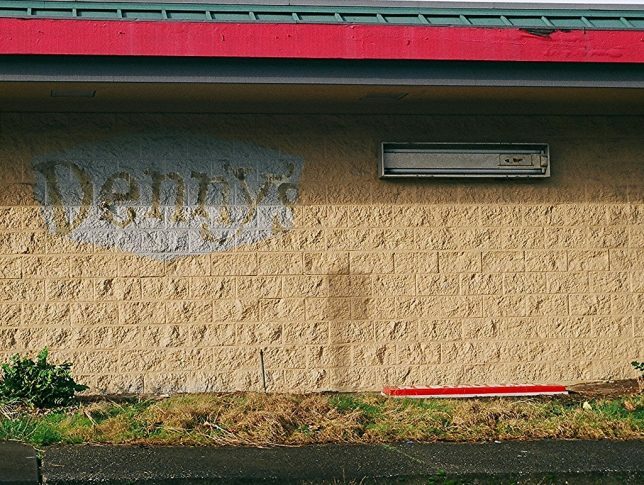 The above abandoned Denny’s was snapped by Flickr member Curtis Cronn in early February of 2015. Looks like the crew charged with removing visual references to expired businesses, crashed airliners and so on neglected to erase the labelscar lingering on the Shoreline, Washington restaurant’s sun-blasted exterior wall. Guys, you had ONE job. 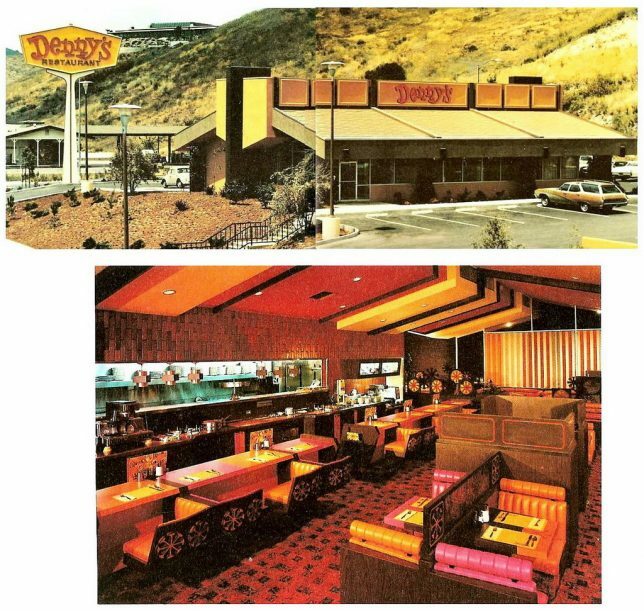 Denny’s wasn’t always “Denny’s”… the chain opened in 1953 with a single store in Lakewood, California named Danny’s Donuts. In 1959, the growing company changed its name to avoid any conflict with Coffee Dan’s, a Los Angeles-based chain of coffee shops. 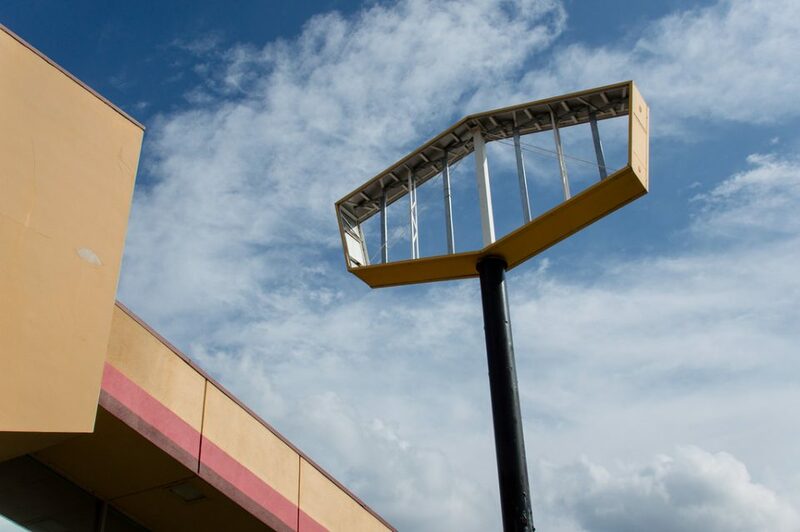 Known since 1961 as just plain “Denny’s”, the company expanded exponentially… by 1980 there were over 1,000 restaurants and diners spread across all 50 U.S. states. The store above, located just off Route 73 in Mount Laurel, New Jersey dates from the 1970s, back when the corporate color scheme was heavily into pinks and oranges… no doubt a hangover from the psychedelic Sixties. Will the succeeding Chinese restaurant carry on that lurid theme? 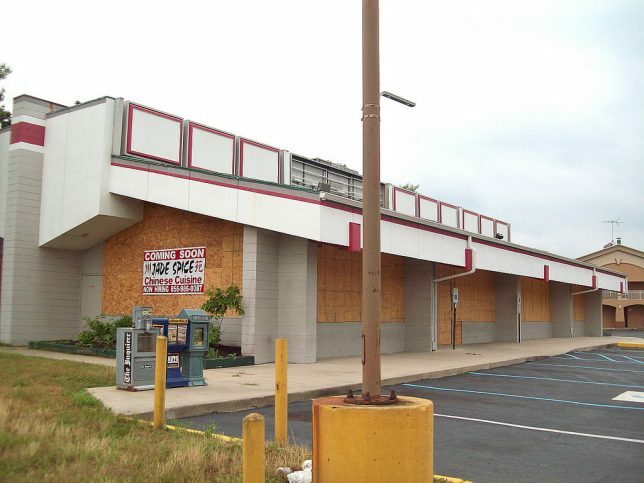 Flickr member John (JSF0864) captured this still-sharp-looking abandoned Denny’s in June of 2011. 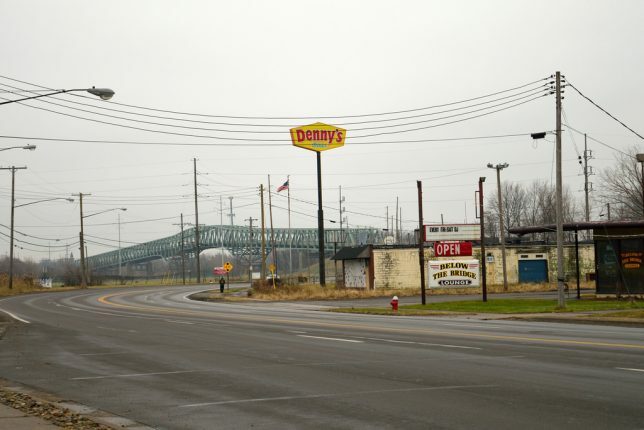 Now here’s something unusual: all that’s left of this former Denny’s restaurant in Lorain, Ohio is its main sign – the building was demolished in early 2011. What’s more, the sign (displaying Deny’s “new” logo instituted in 2001) appears to be in excellent condition having escaped the attentions of the de-branding crew. Maybe they forgot to bring a ladder. Kudos to Flickr member Nicholas Eckhart, who captured this rather bleak scene in December of 2014.